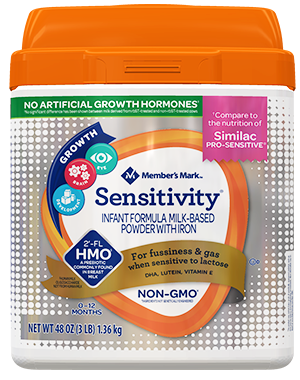 How much can you save by switching to Member's Mark® Infant Formula? 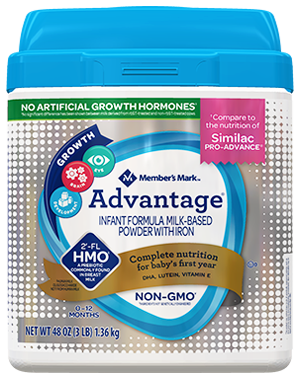 Parents like you want to know how much infant formula you will need to feed your baby during that important first year. 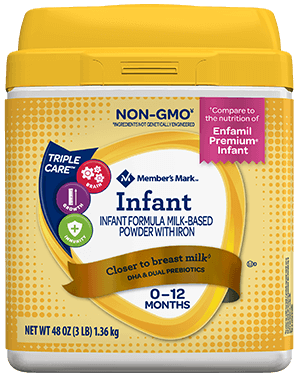 Our Member’s Mark® Infant Formula Calculator will figure out the number of containers you will need, as well as estimated fluid ounces and powder ounces of formula. Simply answer a few questions below, and you can plan ahead for infant feedings. How many feedings does your child take each day? How many ounces of infant does your child drink at each feeding? --Select-- 1 2 3 4 5 6 7 8 9 10 oz. 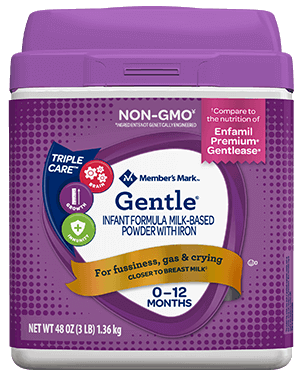 How long do you plan on using infant formula?